Kelardasht is one the most gifted places in Iran (North of Iran), with beautiful mountains (Alborz Mountains) and magnificent scenes of jungle, lakes and rivers. 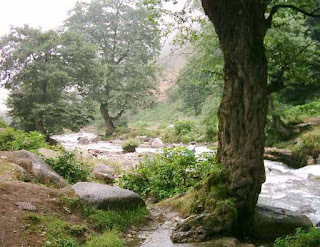 Kelardasht is a large valley in the Alborz Mountains of northern Iran in Chalous county, Mazandaran province. It's 30km south of Abbasabad city (on the Caspian Sea) and west of Marzanabad city (on Chalous Road). 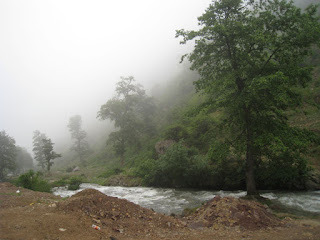 In Iran some people call Kelardasht the paradise of Iran. which the views and peace in it confirms this title. Originally Kelardasht is a farming area, in recent years much of its land was sold in small lots to build numerous villas which are occupied by summer visitors trying to escape the heat and polution of Tehran and points further south. Arabs from the Gulf states can also be seen there during the summer months. Its attractions mainly consist of its natural beauty and cooler climate. But picnicing and mountain climbing in the area surrounding Roud Barak is also popular, as well as in the lush Abbasabad Forest nearby. 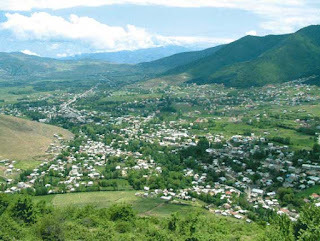 The Kelardasht area has enclaves of Kurmanji-speaking Iranian Kurds, which mostly live in the north east of Iran, near Gorgan city and in north Khorasan province. one of my friends has a beautiful peace of land in Kelardasht, Roudbarak, you can see it here.